Our Church Safety/Security Volunteer Academy includes essential information and training tools to help you develop a robust Church Safety Team and then train them to ensure your congregation enjoys protection at all times. [Online Course] Safety has become one of the most paramount concerns for churches across the United States. In truth, churches have been targets for violence and threats as long as they have existed, but the trend is increasing. Couple that with the potential for damage or loss of life due to natural disasters, through fire, or even at the hands of church members themselves, and you begin to see the need to have a Church Safety Team. A Church Safety Team protects children, at-risk adults, and all other church members from threats, while playing additional roles in church security and safety. Our Church Safety/Security Volunteer Academy course includes essential information and training tools to help you develop a robust Church Safety Team and then train them to ensure your congregation enjoys protection at all times. The Church Safety Security Volunteer Academy course covers an incredibly wide range of information pertinent to creating, vetting, training and monitoring a Church Safety Team. Topics covered include Safety Ministry basics, patrol procedures, radio procedures, information to help you customize safety procedures for your church, how to respond to challenges, reviews and more. The Sheepdog Church Security team includes Researchers, Writers and an Instructional Designer, who spend countless hours developing Safety and Security materials for Houses of Worship. All our course materials come from Nationally Recognized resources and Subject Matter Experts. Kris Moloney oversees it all, ensuring the materials are Realistic and Relevant for the Church. He continues to serve as a Volunteer Safety Director at Friendship Church and he has led this two campus team since 2009. Additionally, he is a Police Officer with over 15 years of experience and a retired Army Captain and Company Commander. He has certifications in a number of specialties to include Crime Prevention, Security Assessments, and the Crime Free Program. He also has a Bachelor’s degree in Ministry and a Master’s degree in Organizational Leadership from Northwestern College in St. Paul, Minnesota. This resource is excellent. I am just getting started with my Safety Team journey. These resources are helping me to get up to speed. I would love to use this with my whole team. There is valuable information in this package. I like the way it is laid out and I like the way the tests are done. The ability to retake the test really helped me to lock in the information. I also like the ability to print out the forms. I can't wait to take more courses. As a formally trained first responder/law enforcement officer/and military member I found the course to be organized and simplified very well. I recommend that any congregation or lay-person complete the course for a solid foundation to build upon for congregation, community, or personal security. I've been in church security and public safety for several years. This course opened my eyes to things i never thought of. Thank you. ENROLL TODAY! Complete All 7 Courses to be Certified by Sheepdog Church Security for 2 years. 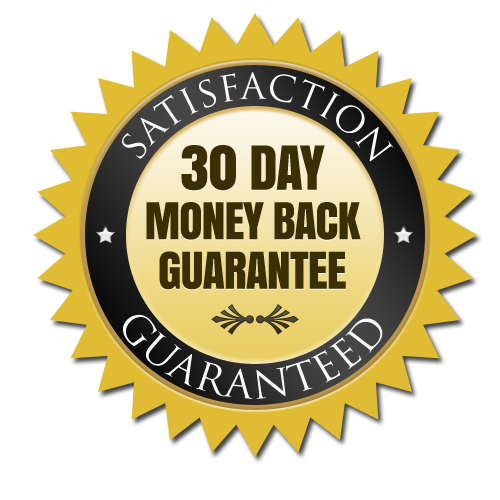 We are so sure you’ll be happy with your purchase that we offer a “30-Day Money-Back Guarantee” to ensure you are satisfied with our course. If for any reason you wish to discontinue using our materials, we will promptly issue a refund.